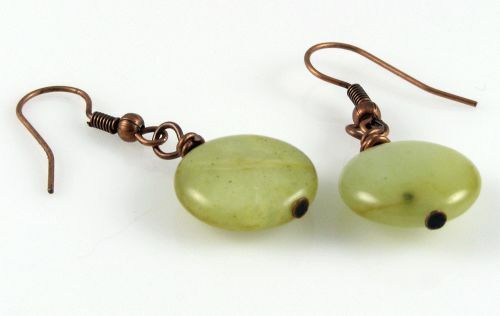 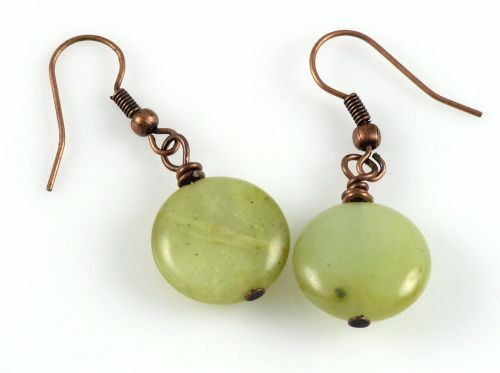 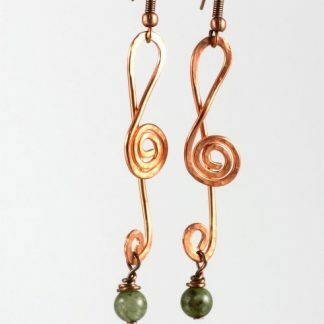 These Jade & Copper Coins Earrings have a very special, almost antique flavor. 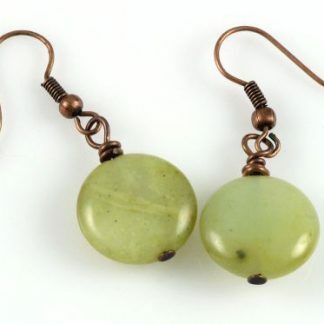 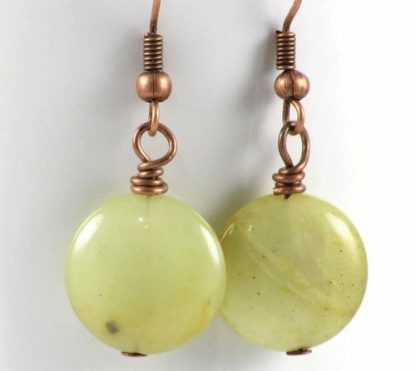 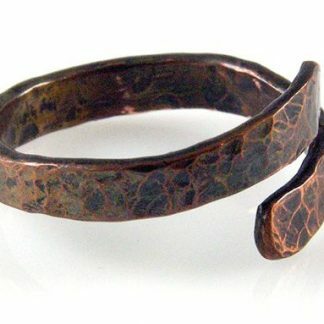 They were designed with low grade jade puffy coin beads with a creamy greenish hue and copper findings and hooks. 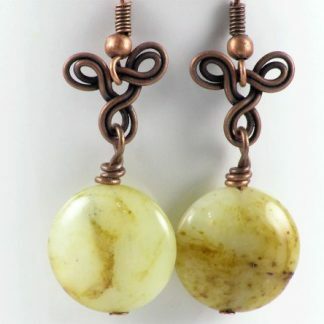 This is for a perfect classic chic look!